The views and opinions represented on this personal blog are my own, and in no way represent the views of any of my employers (whether past, current, or future). You are welcome to share the link to any of my blog posts on social media (including, but not limited to, Pinterest, Facebook, and Instagram). 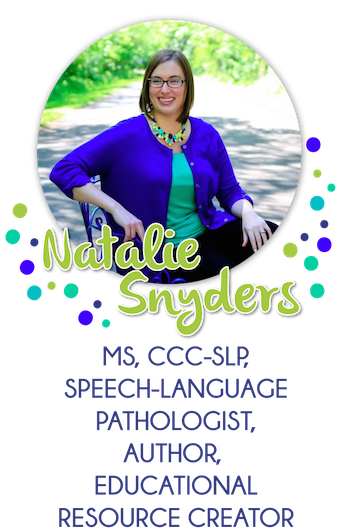 You may also share any links to my website or products on your website, with credit given to the original source (http://www.slpnataliesnyders.blogspot.com or http://www.teacherspayteachers.com/Store/Natalie-Snyders). You may not use any photos from this blog (except when linking to the original post on social media) without obtaining written permission from the author. 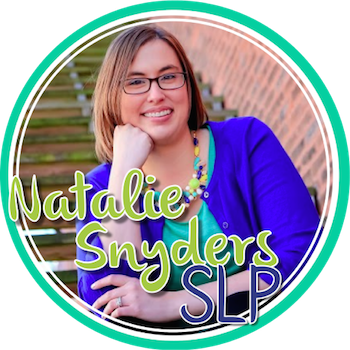 You may not re-post any blog post (whether in whole or in part) without express written permission from the author, Natalie Snyders. You may not host any of my products (whether free or paid, whole or in part) on any website. 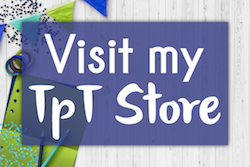 You may link to my TpT store or blog, but you may not allow direct downloads from your website. To do so is a direct violation of the US Digital Millennium Copyright Act.